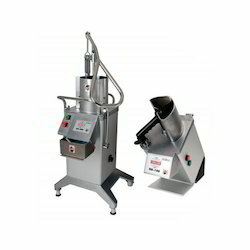 Our product range includes a wide range of Vegetable Processing Machine. CD800 is a Vegetable Dicing Machine helps us for dicing ginger, onions, tomato, etc in a very smaller size like 5mm to 15mm. Also it helps us to dice a nuts like Badam, etc. 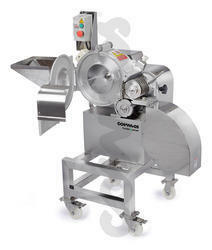 Cosmos Turbo Dicer is exclusively manufactured for obtaining very fine diced cuts of vegetables and fruits. The Turbo Dicer can cube from 3 mm upto 20 mm in precision. It can process upto 1000 kg/hour. Most vegetables and fruits and even delicate products like onions, tomatoes can be processed. The Turbo Dicing Blade System is very flexible and the machine can also be used for Slicing and Strip Cutting of Vegetables. A variable speed controller is included in the machine to dice sensitive products like strawberries. 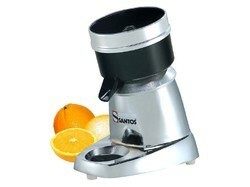 We are offering Citrus Juicer to our clients. Made of stainless steel bowl and aluminum base with high stability. Cleaning process is easy because of the removal bowl, dome, filter grid and juicer. Press lever model ensure hands free juicing of fruits. Available Capacities 1.2 and 3 container models with 12 litres capacity in each container. Being preferred as one of the foremost manufacturers and suppliers, we are offering to our esteemed clients a large stock of Juice Dispenser. These dispensers have the capacity to keep the juice cool for a long time. All these dispensers are also used for dispensing all kinds of juices and beverages. Moreover, our clients can avail the gamut of Juice Dispenser at discounted prices and within committed time limits. Juice Dispenser is an elegantly designed machine for cooling and dispensing beverages like fresh juices. We are amongst the trusted supplier and exporter of a premium range of Glass Washer. 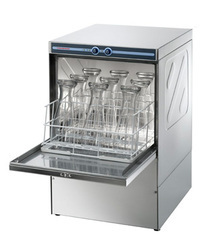 These glass washers are very efficient and useful machinery for trouble-free washing of different glasses. Our glass washers are compact and provide excellent performance for keeping the glasses ready to use anytime. 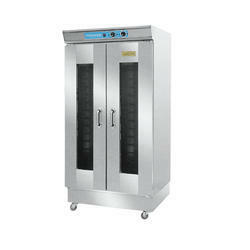 These glass washers are energy efficient and long lasting with great capacity and design. Our glass washers are available to our clients at the very economical range of prices delivered in a timely manner. Counted amongst quality centric organizations, we offer an optimum quality array of Vegetable Processing Machine. Suited as the best utilitarian for processing vegetables in easy and time efficient manner, the offered processing machine is highly acknowledged in the market. The offered processing machine is manufactured as per standards by utilizing optimum quality raw materials. Besides, the provided processing machine can be purchased at market leading prices. We are offering Commercial Proofer to our clients. We are offering Belt Type Veggie Cutter to our clients.